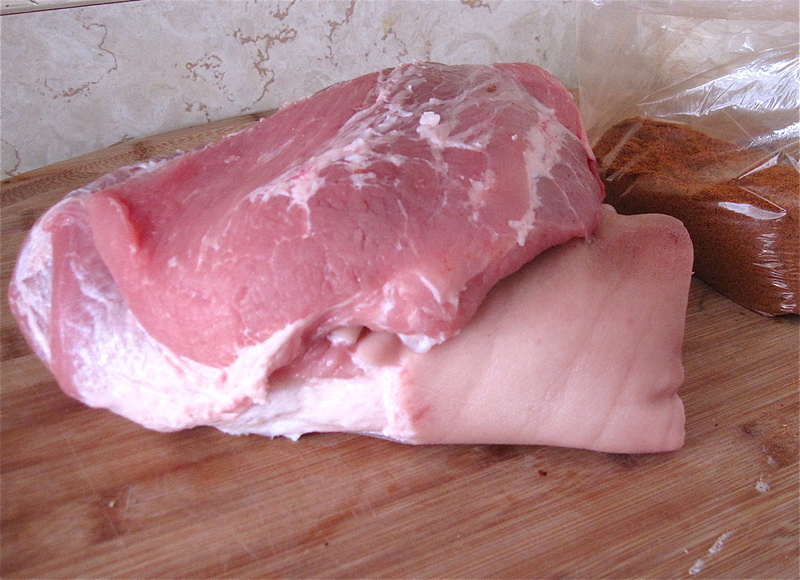 Buy a 4-6 pound pork shoulder and rub it down with some spices! You can use Danny's BBQ Rub recipe or your own if you'd like. Next, get your charcoal lit. Because the best pulled pork comes from cooking the shoulder at a low temperature for a long time, you will not need that many coals. 15 - 18 should do. I also recommend using a chimney starter and avoiding lighter fluid altogether. When the charcoal is lit, spread it on one side of your grill. Put a large drip pan on the other side. Drop a handful of the soaked wood chips over the burning coals. Place the grill grate on and position the pork shoulder, skin side up, over the drip pan, not right over the coals. Cover the grill and allow some ventilation both from the bottom and top of the grill. Your aiming to keep the temperature around 250 F inside the grill. You'll want to keep the pork cooking for 4-6 hours. You will need to replace the charcoals every hour and throw on a handful of soaked wood chips. 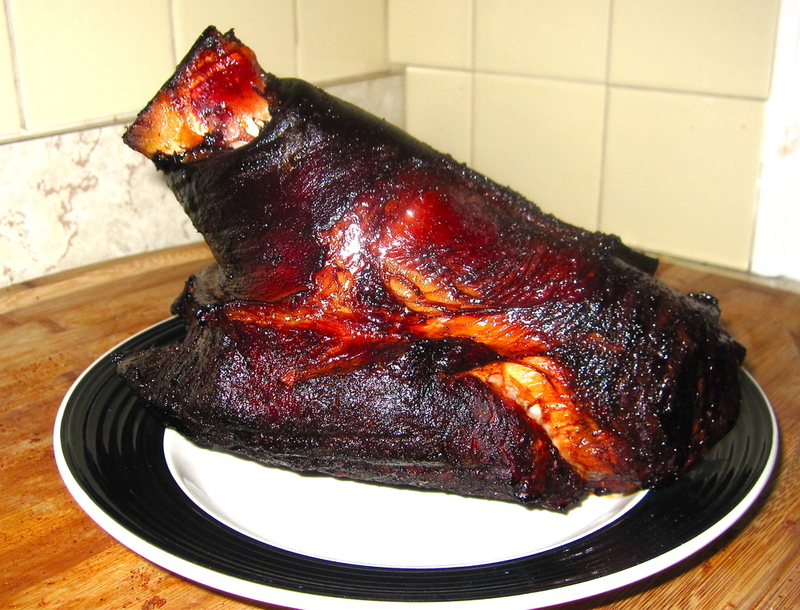 It's done when it reaches an internal temperature of 195 F. The pork shoulder will be a dark, beautiful brown when done, and look something like the one below. nk it's pretty good effort from two Yankees. Traditionally, a pulled pork sandwich is enjoyed with only one topping: Coleslaw. While a purist might consider any ingredient other than cabbage and vinegar as superfluous, we like a more complex slaw. The peanuts add a nutty flavor that compliments the pork and the mayo make the slaw a nice, spreadable consistency. When the pork is done. Remove it from the grill and cover with aluminum foil for 20 minutes. After it has had time to cool, chop the meat off the bone in big pieces and then pull apart with your fingers. Rubber gloves may be necessary during this step. Place the pieces of shredded pork shoulder in a large aluminum pan and be sure to remove any bones or large pieces of fat. Heat and stir your vinegar sauce, then pour over the shredded pork. You should pour enough so that it will generously soak into the meat, but not drown it. Final step: Heat up your buns, slap some pulled pork on them with slaw on top. For a delicious American meal with it's roots in the Carolinas, enjoy it with some Earl Scruggs!